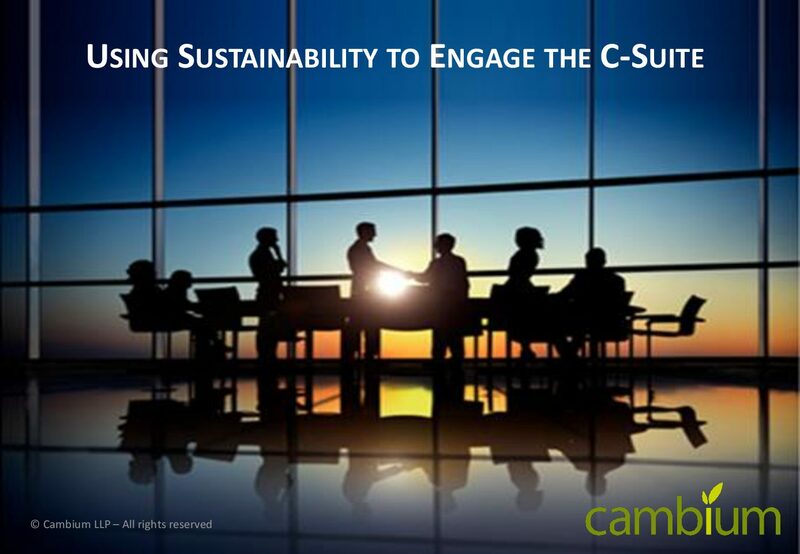 Cambium focuses on helping our clients turn their innovative ideas or research into sustainable and profitable solutions. We offer a range of free downloads containing information on emerging innovation opportunities and the smarter, sustainable, innovation services that we offer. Download this overview to discover how the InCEPT™ process delivers a more effective way to accelerate translation of your research or innovative ideas into valuable, high impact applications. Find out how your business can make MORE of tomorrow’s high growth markets and create new sustainable competitive advantage. Innovative ideas are vital to success in the marketplace, but for every technological advance that achieves widespread market adoption there are always many others that fail. 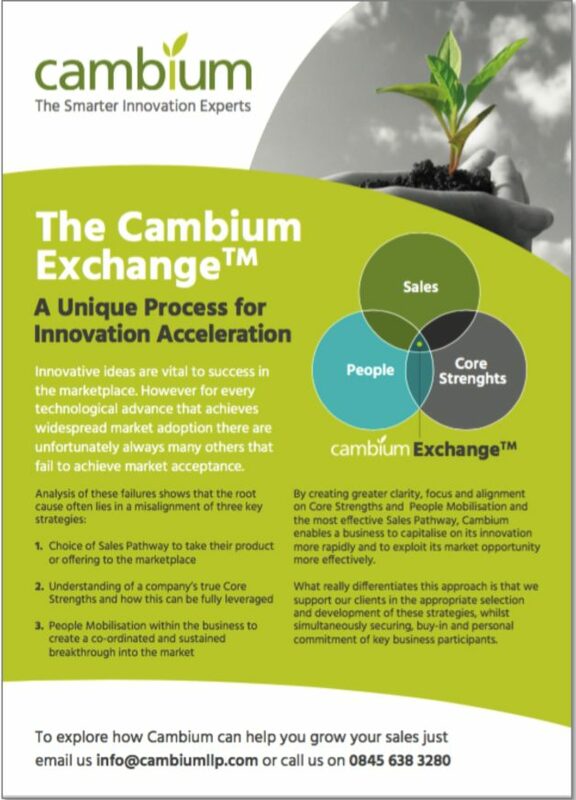 The Cambium Exchange helps your business succeed. A Cambium Exchange is a short duration high impact programe that enables accelerated sustainable growth of your busines by creating greater clarity, focus and alignment of your core strengths, people and business development strategy. Your client’s public Sustainability goals place its reputation at risk. Find out how you can use Sustainability to develop new sales opportunities with your most important clients and prospects.